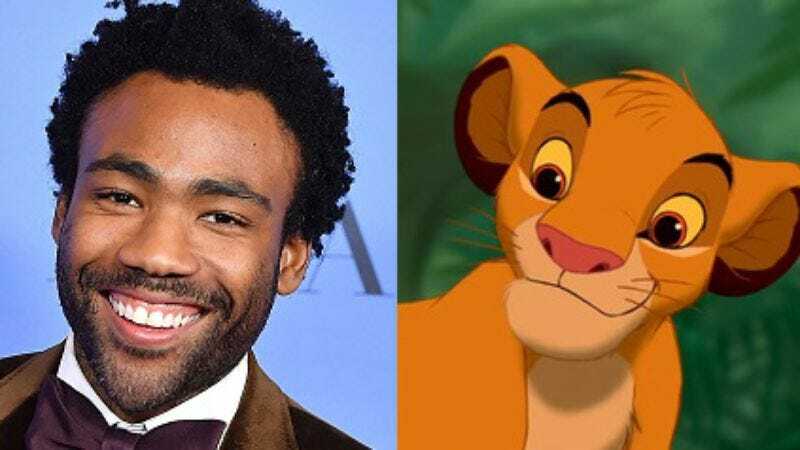 It’s always possible that this is just directorial wishful thinking—Glover’s a busy guy, what with Han Solo, Atlanta, and his musical career as Childish Gambino—but it certainly looks like he’ll be belting out “I Just Can’t Wait To Be King” somewhere down the line. Details about the live-action Lion King are extremely sparse; Favreau will reportedly film it back-to-back with his second Jungle Book film, but there’s no release date on the books. UPDATE: Favreau followed up his initial post with this one, apparently confirming that James Earl Jones will be reprising his role as Mufasa in the upcoming film.